Fig Tree Books LLC, 9781941493069, 371pp. A dazzling debut novel about love, loss, and the courage it takes to start over. It's 1994 and Adam, a drug addict from New York City, arrives at a kibbutz in Israel with a medieval sapphire brooch. To redress a past crime, he must give the priceless heirloom to a woman his grandfather loved when he was a Holocaust refugee on the kibbutz fifty years earlier. But first, he has to track this mystery woman down--a task that proves more complicated than expected. On the kibbutz Adam joins other lost souls: Ulya, the ambitious and beautiful Soviet migr e; Farid, the lovelorn Palestinian farmhand; Claudette, the French Canadian Catholic with OCD; Ofir, the Israeli teenager wounded in a bus bombing; and Ziva, the old Socialist Zionist firebrand who founded the kibbutz. Driven together by love, hostility, hope, and fear, their fates become forever entangled as they each get one last shot at redemption. 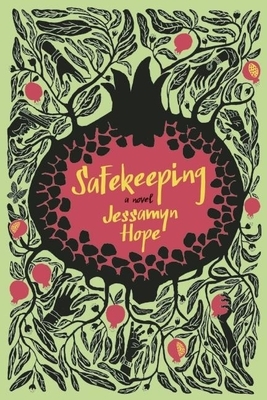 Safekeeping is Jessamyn Hope's debut novel. Her fiction and memoirs have appeared in Ploughshares, Five Points, Colorado Review, Descant, and PRISM international, among other literary magazines. She was the Susannah McCorkle Scholar in Fiction at the 2012 Sewanee Writers Conference and has an MFA from Sarah Lawrence College. Originally from Montreal, Hope lived in Israel before moving to New York City. Learn more at jessamynhope.com. One of The Boston Globe's "Suggested Summer Reads" for 2015.